And so, with no pomp or circumstance whatsoever, it came to an end. A mundane call just before six o'clock in the morning, a simple handover to the crew, and a slightly solemn and very lonely drive back to station. I don't know what I was expecting or hoping for. Almost five years ago, I started it for the first time. It lasted 6 months, and I hated almost every minute of it. I stuck at it because it was challenging and different, but I still couldn't stand it. At the end of the allocated half-dozen moons, you couldn't see me for dust in my haste to get away. Maybe I was just too young and inexperienced, maybe I was just lacking in confidence. Whatever it was, I was pleased it was over. Almost two years ago, through lack of choice and with fear and trepidation, I went back to it. Last week it came to a halt, again through no choice of my own. 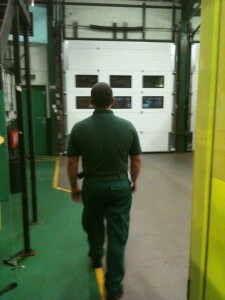 My time on the FRU, the single-manned (personed) Fast Response Unit, has ended. All the things I hated about it the first time round, I loved this time, and I will sorely miss. I guess I'd grown up a little in the interim, and eventually started to feel at home in the FRU. The most appealing is the challenge of having to think on your own, often for extended periods of time, and sometimes with very ill patients. Starting a resus on your own and having to carry it out with no back-up for quarter of an hour. Managing the asthmatic patient who's deteriorating before your very eyes. Relieving the pain in the elderly patient who's fallen and fractured their hip. And being unable to transport any of them. Delivering a baby and praying for it to take its first breath. Supporting the dislocated shoulder of a brave kid and watching them get drunk on entonox. Sticking a plaster, or a band-aid, depending on where you are, on an adult who's behaving like a spoilt child. Being the first at the scene of a suicide attempt, working hard to save a life, only to see the patient whisked off in the ambulance or the helicopter, and staying at the scene filling in paperwork. Being the first at the scene of a fatal accident, and having to call it before anyone else even turns up. Being the first at the scene of a cardiac arrest, a terminally ill cancer patient, and grieving with the family. And being left alone with your thoughts and a cup of coffee. Travelling with a crew and them hating you for pulling rank. Travelling with a crew and them loving you for pulling rank. Travelling with a crew and the patient thanking you all. Together. And having to justify it all. To control, to the crew, to the patient, to yourself. Now, it's back to a mix of real ambulances and a few FRU shifts, but it won't be my car. It'll be nice to have someone to share with, someone who I can look at over my shoulder when I'm unsure, and hopefully vice versa, someone to sing along to the radio with between and on the way to calls. They say, whoever they are, that a change is as good as a holiday. Truth is, I could really do with one right now. It's just that I'll miss being at home. I'm sure you've already noticed the new banner at the top of the blog. So thanks to Polar Web Development for designing it for me! A permanent link to their website is now on the right hand side. I'm not normally one to partake of these 21st century chain letters, but as I know that the whole subject is one of constant irritation to MrsInsomniacMedic, I couldn't really resist. This whole idea was started by Lissa. Nope, I've no idea who that is either - but as she's started the whole thing, I guess she gets the credit too. And now, whether you wanted to or not, you'll find out what sits on the bookshelf in the bathroom. OK, it's the window sill, and not yet a bookshelf, but still. 1) There are the books that are there permanently. Probably my favourite cartoon strip of all times. Because of the sleeping issue. Because of the coffee issue. Because of the wicked sense of humour issue. So I have two books of the comic strip in there. 2) There is the book that I'm currently reading. My taste in novels ranges from the sublime to the ridiculous, from new to old, from Harry Potter to To Kill a Mockingbird, but at the moment it's Enigma by Robert Harris, on the Enigma machines used by the Nazi regime to send coded messages, and the attempts at breaking that code. So now, who do I tag? I think I'll try to send this round the world. I guess I'll have to pick on Fishmedic to start with as our European representative, despite the recent football score. For someone in the UK, but outside of the medical field, I'm going to tag The Buffoon, as his blog has much the same effect on me as Hitchhikers. And last but not least, all the way on the other side of the world, Flobach is invited to share his readings too! What a sad time. Due to various reasons listed on his blog, Mark's had to shut his blog down. He of 999medic and Chronicles of EMS, a voice of courage and conviction, has decided that he has to put his job and his family first. Understandable it may be, but the reasons behind it are worrying. Read his final blogpost, along with all the comments below. They pay tribute much better than I could to his ability and vision to make the world of EMS what it has the strong potential to be. And for the meantime, this blog remains anonymous (although possibly one of the world's worst kept secrets), for exactly the reasons that Mark has had to walk away. It's a sad indictment of the lack of vision of others that holds us back, as a service, as EMS providers, and especially as bloggers. It's all the more upsetting that one of the trailblazers in the field, is the one to get caught up in the fear. A fear of the unknown shouldn't mean instant disapproval. It should be a challenge to those who hold on to that fear to come and face it. Come and see that those who blog do so, at least in the vast majority, because they love their jobs. Because they want to cast it in a better light. Because they want to improve both themselves and their environment. Hopefully, some day, the vision will overpower the fear, and not, like today, the other way round. A woman was flying from Seattle to San Francisco. Unexpectedly, the plane was diverted to Sacramento along the way. The flight attendant explained that there would be a delay, and if the passengers wanted to get off the aircraft the plane would re-board in 50 minutes. Everybody got off the plane except one lady who was blind. The pilot took the dog with him off the plane so they could both spend a few minutes out of the cramped environment. Picture this: All the people in the gate area came to a complete standstill when they looked up and saw the pilot walk off the plane with a guide-dog! Another call to a man, almost incoherent to the call taker, stating that he's in a park but doesn't know where. I can almost hear the call. "I'm by the big tree, near the lake." Not very helpful. The lake has a three mile circumference and there must be thousands of trees along those miles. I drive in circles around the park, trying to get updates, clues, general directions so that this lost man can be found. Not even sure I want to find him. He's probably one of the local NFAs. A person of No Fixed Abode. Probably drunk. Probably filthy. Probably very unpleasant in his appearance, manner and demeanor. In fact, chances are that the only thing more filthy than his attire will be his language. It's not a call that leaves me wanting for more of the same. I drive in circles, following instructions from control, who in turn were getting directions from what may as well have been the Sahara desert. "Take the third sand-dune on the left and keep going for three days. You'll see a sand-dune. Turn right there, and just in front of you will be a row of sand-dunes. I'll be there". Sand-dunes in a desert. Trees in a forest. Same thing really. This is slowly becoming a futile task for one car and its driver. It's pointless driving round in circles with no idea of where to look. Instead, I stick the blue lights back on to see if that attracts the attention of the caller, or at least gives him a point of reference. Clearly not. That'd be too easy. "I'm walking to the edge of the tree-line", he tells the call-taker, "and I'll just sit down. If they find me - good. If they don't - well, whatever". I'm about to give it up as a lost cause. Maybe even a hoax call. It's the dead of night, what chance is there that he couldn't see, even if it was at a distance, dozens of flashing blue LEDs? Driving over the brow of a small hill, and round one final corner. Been there already, and there's plenty of light there to be able to complete the pointless paperwork. Pulling up under the beam of a street light, I suddenly see an outline of a man in a pool of darkness, sitting by the edge of the road, swaying back and forth as if trying to shake the weight of the world off his shoulders. "Control, believe it or not, I've found him". As I get out the car, my initial fears are realised. The smell hits me as I open the car door. Even the clear night air seems suddenly infected. His clothes are grimy and in parts torn. His hands and face the colour of a cloudy sky, his entire worldly possessions scrunched up into a couple of plastic bags. Two things are missing from the picture. Two things that are out of place for the normal, run-of-the-mill homeless drunk. He has no half-empty alcoholic beverage containers. Not the drunken cry of the teenager who's overstepped his boundaries and is trying to save face by claiming that his drink must have been spiked. Not the hysterical cry of the girl who's gone to drown her sorrows after her 3-week-long relationship has gone sour and who's world suddenly and irreversibly seems too dark to cope with. This was the cry of a grown man. A stone-cold sober man, a man who at one time had everything, and then lost it all. He told me his story, and left me feeling powerless to help. He's an educated man sent to this country by his company to continue his work and expand the company's reach. Until the company folded. He'd lost his job, his family are overseas, he can't get back there, and he has no other support here. The flat he lived in was rented by the company, and it disappeared along with his wages. The park had eventually become his home. He'd tried all avenues for help, but received none. "You'll get a job", they'd tell him. "Just be patient". Initially he'd sneak into hotels to shower, then the lake sufficed. After a while and multiple rejections from work interviews and social-care agencies, he'd just stopped. Didn't see the point any more. At first he could afford the calls back home, or plead and beg with someone at one of the interviews to let him make just one phone call. Now even that infrequent contact was lost. It had been several weeks since he'd spoken to them. I had no idea what to say to this man. No idea how to help him. I just put a blanket around his shoulders. The call-taker in control said he was incomprehensible. He wasn't. He was inconsolable. I'd assumed he'd be another regular, drunk, unpleasant, NFA. He wasn't. He was sober, and pleasant. But he was a man who'd lost everything, including hope. The ambulance arrived, and as the man sat on the edge of the road, wrapped in both our blanket and his grief, I told the crew his story. They invited him into the ambulance, and after a few minutes drove him away. I sat back in the car and just for a couple of minutes reflected on what had just happened. On how I'd assumed everything and got it all wrong. On how I'd jumped to a conclusion before even setting eyes on the man. On how sometimes a man with a guide-dog isn't blind at all, and how sometimes people with eyes wide open, have their minds tightly shut. Driving back towards the station after yet another routine call, a set of traffic lights on red sees me pull up alongside another car, a brand new convertible. 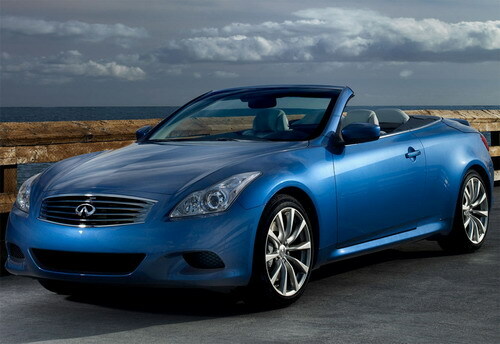 Warm sunny days are a rarity in this part of the world, and those with convertible cars make the most of them. As soon as the sun is out, the lids come off the car, be it thirty degrees above, or be it ten below. The car has two occupants, the driver and his passenger, both young, both wearing the uniform of a local bank, and both with no seat belt. I can't help but wonder, somewhat cruelly and not for the first time, whether an unrestrained driver in a convertible flies over or through the windscreen when the car crashes. Being stopped at the lights gives me the opportunity to have a quick word with the guys in the car. "Seat belts might be a good idea gentlemen!" I was all ready for a comment to the effect of "mind your own business" or just to be completely ignored. Instead, the driver looked over to his passenger, back at me and they both put on their seat belts. "Well, we couldn't really say no to you could we? If you'd've been a copper, I'd ignore 'em. But you're not looking to give me a a hard time and a fine. You're only asking 'cos you actually just want us to put the belts on." "True enough", I said, "I'm just trying not to find the answer to a question I've had for ages." "You don't want the answer?" Confusion covered his face like a rash. With that, the lights turned green, and we drove our separate ways, confused and pleased in equal measures. And still, thankfully, with no answer. Blogsphere is an amazing place. First, I started reading blogs. Then I started following them. Then, twice, I started writing them. After a while I made contact with some other writers. Whilst some of these writers decided to meet each other on opposite sides of the Atlantic. Finally, this week, I had my own meeting with an overseas blogger/paramedic. 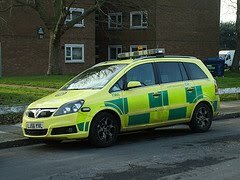 Fishmedic, AKA Sam, a paramedic and blogger from Germany, decided that on his short visit to London, he'd like to see a little of the whats, whys, wherefores and hows of the London Ambulance Service, at least as I see and experience them. Through the wonders of social media and other forms of communication, a meeting at station was arranged. So he came, he saw, he took photos (thankfully not with me in them), we talked. And we drank coffee. When he asked for cream with his coffee, (in English that is better than most English people I know) I muttered something about this being the NHS, and that we can only afford milk. Anyway, we compared notes and systems and were each shocked about things we see as lacking, and inspired by ideas we liked. It was entertaining, educational, eye-opening, and lots of other things beginning with the letter 'E'. Chronicles of EMS - see what trouble you've caused! The first thought that, cynically, came to mind, was that I wouldn't mind being paid as a taxi driver. I'm sure they earn more than I do. Then I sat and criticised the spelling and grammatical errors in the comment, as though I'm some sort of linguistic expert. Then, and only then, did I really think about it, and reply to it. Go look at the post again. My reply is there. I still question both my actions with the patient, as well as my reply to the comment. Ultimately, I feel that I really didn't have a choice. I had no chance of being a "professional" paramedic, as professionalism could equal job-loss. I was incensed at the time. Called control, asked them to listen back to the call and find out how this was given a high-priority status, only to find that the "patient" knew all the tricks in the book, and answered all the questions to lead the system down the path of a life-threatening emergency. The call taker had no choice. The computer system had no choice. Sometimes we're all stuck in a big game of Simon Says. And whatever Simon says, whether it's right or wrong, goes. Every so often I just wish my name was Simon. Take a deep breath. You're gonna need it. As rumours go, this one has been floating through the ether for some time. When it was officially published the other day, I wasn't at all surprised, but I was, still am, more than a little disappointed. Intubations are no longer going to be a part of the London paramedic's bag of tricks. The single most useful technique we use, the one used in the most critical of patients, is being taken away from us. Let's start at the very beginning. Intubation (or colloquially "tubing") is a process by which a plastic tube is placed in a patient's airway to protect it. It's used when we need to breathe for the patient, and when we want to stop all manner of gunk, particularly blood or vomit getting into the lungs, effectively drowning the patient. It's used by paramedics mainly in cases of resuscitation attempts - or CPR. If ever there was a time that a patient is likely to vomit, it's when a paramedic is applying brutal repeated pressure to their chest at 100 times a minute. It is used at other times such as massive trauma when the patient is unconscious enough to allow the intubation to take place. Yes, there are different levels of unconscious, and there are even different degrees of dead, but these are the subject of a completely different discussion. Now, however, instead of training new paramedics in the skill of intubation, they are only training them up to use LMAs, or laryngeal mask airways. These are good when you need to breathe for a patient, but totally useless if the patient vomits. So in our case, frequently pointless. These LMAs, whilst brilliant in the hospital setting, will fail to fulfil their purpose out on the road. The reason is simple. In hospital, when a patient is aware of the fact that they're about to be knocked out for an operation, they are starved beforehand. No food in the stomach equals no chance of vomit. The LMA is perfect. You can breathe for the patient without having to go the full invasive method and intubate them. If, however, someone ends up with an emergency operation, where there was no time to starve them first, guess which method of airway protection is used? Correct - the tube. The trouble with emergency cases is that they are exactly that. Emergencies. The patient will never have starved themselves prior to collapsing or being run over. They will never be considerate enough to think that they'll hold off on having dinner because there might be the possibility of the cavalry in green charging through their front door on a rescue mission, and would really rather prefer that the patient didn't vomit, thereby endangering their own well being, as well as the ambulance crew's uniform. The arguments for the de-skilling of paramedics are several-fold. We don't get enough training. We don't do enough refreshers. We don't use the skill enough. We're not good enough at doing it. The first two I agree with - up to a point. A study, apparently carried out in the USofA, says that the minimum training requirement is a 90% success rate at 57 intubations. The numbers seem a little random to me - but I'm not arguing them. When I did my training, I had to successfully intubate 100% of 25 patients. At least. I think, if I remember correctly, I intubated 40. The only one I failed at was the first one I ever tried. I told the consultant that I couldn't do it. I couldn't see what I needed to see in order to ensure a successful intubation. He huffed and puffed, muttered something, good-naturedly, about these new paramedics, took one look at the patient's throat and found that it WAS an impossible intubation. Even for a seasoned professional. I'm not saying I'm brilliant. But I am saying that I'm honest enough to admit I can't do something. And that in itself is an important skill. The problem with getting an intubation wrong, is down to what your mother used to tell you when you were a kid. "Don't talk with your mouth full, or the food'll go down the wrong hole." The trachea (air-pipe), and the oesophagus (food-pipe) are next to each other. Well, actually, one in front of the other. If you put the tube down the wrong "pipe", you pump air into the stomach and do nothing for the lungs. It's lethal. It's not a difficult skill to master, but it does need proper training. Not only in how to do it right, but how to recognise and rectify it if you do it wrong. Training is apparently becoming a problem due to the increased use of LMAs in hospital. The number of intubations is steadily declining, so there are fewer patients going around for paramedics to train on. So extend the training. Do blocks of hospital theatre training weeks. If it takes a year to get the prerequisite number of intubations, then so be it. Use all the skills you have, and wait with the intubations. If you're lucky and reach that number in two weeks - then off you go into the field and save lives - along with the tubes. We definitely don't have enough refreshers. Certainly not on intubations. We have courses reminding us how to do CPR, how many compressions, what drugs, what's changed since the last refresher. But we never go back to theatres to intubate live people. A manequin is one thing. A patient is real and has a different feel and knack to tubing. I'd love the chance to go back, once a year, and intubate under the guidance of a consultant anaesthetist. By the same logic, I shouldn't be allowed to put a patient's arm in a sling either. I know one is not a life-changingly-critical as the other, but the logic is the same. On average, a paramedic will intubate a 3-4 times a year. A few more if you tend to be a little like me and attract more trouble than the average paramedic. It's not a lot. There are pieces of kit on the ambulance I haven't used more than once in my career. Literally. That doesn't mean that I won't use them if I have to. I have the skill, I know how to use it, and use it I will. I feel it's also important for a paramedic to arrange their own refreshers on less-frequently used equipment. To take out pieces of kit they haven't used for ages and just re-educate themselves in it's purpose and function. Clearly this isn't possible with intubations. However, intubating only a handful of times a year does not mean that I lose the skill. It doesn't mean I don't know what I'm doing, and it certainly doesn't mean I forget how to recognise whether I've done it right or wrong. We're lucky in London. We're one of the very few services in the country (as far as I have managed to discover) that uses a piece of kit called End Tidal CO2 monitor. I'm not going to go into the ins and outs of how it works, but very simply, when you attach this to the end of a tube, it is an almost guaranteed assurance of the success of the intubation. You get a reading - it's in, you don't get a reading, you've missed. Simple as that. If you get a very high reading, chances are that the patient's started breathing on their own. Good news all round. There are fail-safe methods of ensuring a tube is done right. Any paramedic worth their salt will know them, check them, double check them, and know that if they've done it wrong, that they start again. Or, in the rare cases of seemingly impossible or even very difficult intubations, recognises their own limitations and works with what they can. I've only once out on the road seen a paramedic miss an intubation. That one time, it was recognised very quickly and fixed. I don't know where the data comes from that we're not good enough at it. My personal experience, the only one I have to go on, tells me otherwise. There have been tubes that I couldn't get, only two if I remember correctly. I blame my legs for one of them. There was a smaller paramedic on scene who could fit more easily into the restricted area round the patient's head and intubated them with no problem. The other I just couldn't see what I needed to see to ensure the tube was going down in the right place. I stuck with an LMA and prayed the patient didn't vomit. I vaguely remember being lucky. That time. The cynics amongst us will blame the doctors. They're trying, at least some of them, to regain their superiority and would love to see paramedics bounced back to the stone age where we literally pick a patient up, throw them on the back of a truck and race them into hospital quick enough for super-docs to save their lives. Those same cynics will also say that it's nothing more than a money-saving exercise. Less training means less spending, both on the training itself and the kit that it entails once qualified. The establishment will claim that as they cannot guarantee training and proficiency, that they are taking the skill away. Future paramedics therefore won't be trained. Current paramedics will be allowed to go on using it for now, but my suspicion is that the equipment will slowly be used up and never replaced. A de-facto de-skilling. It's a backwards step for an organisation that aims and claims to be a world-leader. To me, instead of striving to better at we do, and extend our range of skills, this is a move in the wrong direction, a move to limit our abilities further. I think it's a mistake. A step towards those who see paramedics as nothing more than World-War-I stretcher bearers, and away from those with a vision of modern, skilled, experts in pre-hospital care. I hope it will be rethought at some time in the near future. I hope that lessons will be learnt, and I hope that as a Service, London will rethink it's training strategy. Most of all, I just hope that this is one take-away that we don't all, patient and paramedic alike, learn to later regret. Each one of us has a system. A line of questioning that we follow each and every time to get the answers we need. Following the same method for each patient ensures not only consistency in our history-taking, but also in our treatment of the patients. Personally, it guarantees that I have asked all the questions, at least the basic ones, to know where to start and which line of treatment is the most likely. History taking involves everything from past medical problems, to current drug treatments, from the time of the last meal to bowel opening patterns, from sleeping patterns *ahem* to the actual current reason for calling the ambulance. And then, there's pain related questions. Where is it? Does anything make it worse? Or better? All in order. Need to keep my stride. It's especially important towards the end of a night shift, and even more so towards the end of a set of nights. My favourite pain-related question, probably because the answer is invariably "No", is "Have you taken anything for the pain?" You know, any analgesia or anti-inflammatory stuff? Anything that might have helped you get the night's sleep that you're complaining you didn't get? I'm always a little bemused by people who go from having a pain that they can cope with straight through to excruciating-ambulance-required-immediately pain without going through the lets-take-some-tablets-and-see pain in the middle. I digress. Must try to keep my stride. The following is a true, if slightly shortened, recording of a recent conversation with a patient in pain. InsomniacMedic: "When did the pain start?" Patient in Pain: "About 12 hours ago". That would have been at the more tolerant and alert part of my shift. IM: "And you haven't slept at all?" IM: "Did you take anything for the pain?" IM: "Can I see the tablets that you took?" PIP: "It wasn't a tablet." Assuming that this patient can't swallow tablets, I presume it must be a liquid. Exasperation is slowly setting in. IM: "Can I see the bottle then?" PIP: "It wasn't a bottle." Exasperation is slowly being followed by the loss of will to live. IM: "So what did you take for the pain then?" All the training, all the working on a system, all the pre-planned questions, all down the toilet. I mean, with answers like that, how is a guy supposed to keep his stride??? And not necessarily a coffee. You know all about 999Medic and his journey to San Francisco. You know all about HappyMedic and his return journey to the UK. 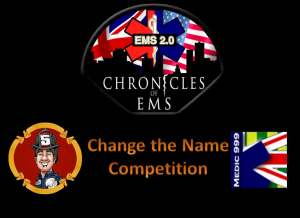 And you know all about the Chronicles of EMS and their efforts to bring this (ad)venture to the masses. Well, now that you know all about it, how about becoming part of it? Become part of the evolving world of EMS. Join one of the productions. The Reality Series at Chronicle of EMS needs a new by-line. Something catchy. Something exciting. Something that will tell the world all about it. And you could be the one to choose it. If you do, you'll win a MASSIVE prize. All you need to do, is join the Chronicles site, and follow the instructions from there. Trust me, it's worth a look, and definitely worth having a go. Armies, thousands of years ago, would wear them as they invaded another land. King Arthur's knights donned them before battle. Modern-day soldiers protect themselves in modern-day versions. And we, as Emergency Services workers, have our very own models too. There's no other way to explain why we do what we do, whilst knowing that what we do is sometimes a little bit crazy. It's the sort of news that makes people in the UK mutter about becoming too much like America. Random shootings, killing sprees, mass murder and then suicide. The horrendous events in Cumbria, in the north of England, sent shock waves not only through the usually quiet villages and towns where the killings took place, but all the way through the land. It's happened here before. Dunblane, in Scotland, was the site of one such atrocity in 1996, where the victims were young school children and their teacher. Hungerford, in 1987, was the other infamous occasion where firearms, legally held, were used for such appalling, random, senseless killings. But look at the dates. One is more than 10 years ago, the other more than 20. Crime is an everyday occurrence, wherever you are. There is violence on the streets, robberies, muggings, murders. These sorts of crimes, the mass murders, however, are rare, which makes them, if that's at all possible, all that more traumatic for those involved. The dust hasn't yet even started to settle on this story. The families of those killed and injured are still asking questions to which there are, at least for now, and possibly for ever, no answers. The grieving has started, the injured are being cared for, friends and relatives supporting each other, helping each other through a process that will take many many months, even years. From afar, I feel for them, I'm shocked with them, I try to hold them in my thoughts and prayers. And then, there are the others. The unseen. Those involved who will not be given a second thought. They won't be part of the grieving process or the recovery. They won't make the news talking about their experiences and feelings. Because they are the professionals. They're one step removed, and they can cope. Those members of the Emergency Services, police, ambulance crews, air-ambulance staff, fire-brigade. The front line. Front-line, yet hidden from view. Exposed to sights that should never be seen. Shouldn't be seen ever, yet we are exposed to them on a regular, if not daily basis. I believe that when we get ready for work, one of the things we do, is put on what all those armies and Knights of Yore used to do. We don our Suit of Armour. We put on our uniform, and become someone else. The thought processes are different. The coping mechanisms are different. The Suit protects us from what Chris over at Life Under the Lights called "Splashed Sadness". Briefly (and not as eloquently as Chris - you MUST go read his post), Splashed Sadness refers to the exposure we all have to emotions on a regular basis, and how we each cope with them. How a family standing in front of us will be grieving the loss of a loved one, and how we'll be sympathetic, empathetic, sometimes look on the call as a "good job", and then without pause for thought, discuss what we're going to have for lunch. In truth, however, every Suit of Armour has a chink. And each of us is vulnerable to it. We'll cope on scene, because we have to. We'll not even give it a second thought sometimes. But every so often, there'll be the call that gets through that chink. It may not be an immediate breach of the defences. It may not be a total loss of the coping mechanism. It may not even cause any sort of diversion from the normal flow of our thought processes. Sometimes you just need a break, someone to talk to over a cup of coffee. It might just be your co-workers on base, it could be your nearest and dearest, sometimes, even if rarely, it may well need to be a professional. We need to know when each of those times is. We don our Suit, and face a world of sadness. A world of illness, of grief, of trauma. We don our Suit, and become rescuers, therapists, saviours, even heroes to some. We don our Suit, yet underneath we are the same as everyone else. At the end of our shift, when we go home, we take off the Armour and are no different from anyone else. We are partners, husbands, wives, parents, children. With a very special Suit of Armour. What to have for breakfast. What to pack for lunch. What to wear for work, and how to get there. Whether not to bother going at all. Football or soap on TV. Early to bed, or a late night out. And no-one will ever know why.